Talanoa Dialogue is a process designed to help countries implement and enhance nationally determined contributions to combat climate change by 2020. 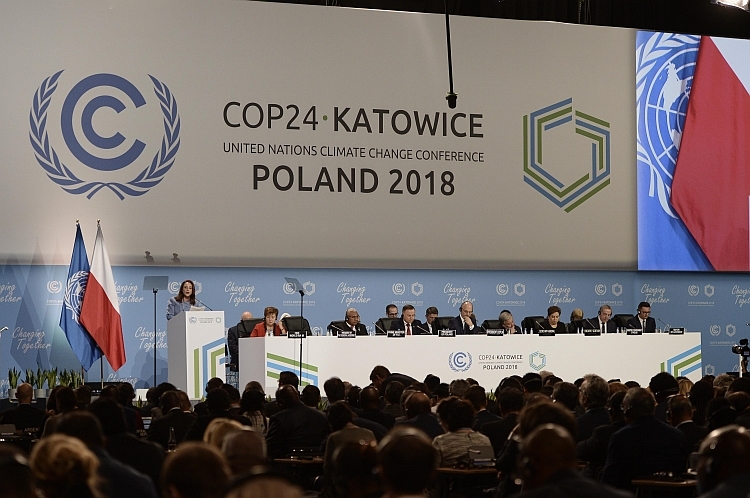 It is a year-long process that will culminate in political discussions at the 24thConference of Parties (COP24) of the United Nations Framework Convention on Climate Change (UNFCCC), 2-15 December. Gathered at the historic St Stephen’s Church, the participants reflected on the findings of the recently released Intergovernmental Panel on Climate Change (IPCC) special report on 1.5 degree Celsius, that reveals that the planet is on-track to surpassing the relatively safer limit of 1.5 degree Celsius warming above pre-industrial levels in around two decades with potentially catastrophic effects, especially on the poorest. Just transitions was one of the key themes of the dialogue. Representatives from the city of Katowice shared that their city is in many ways built on coal. Many derive their livelihoods from it. Addressing climate change entails a shift away from these polluting industries. Initially coined by labour and environmental movements, the concept of “just transitions” aims to ensure that the burden of adjustment does not fall on those who contributed least to climate change, are most vulnerable to it, and have the least resources to deal with it. For Athena Peralta, programme executive for Economic and Ecological Justice at the World Council of Churches (WCC), who facilitated the discussion, a just transition is first of all a rapid and drastic shift from a fossil-fuel driven and extractive economy to a carbon-neutral and regenerative economy. “This demands nothing less than systemic changes towards an alternative development paradigm that holds justice and sustainability together,” she said. Ovais Sarmad, UNFCCC deputy executive secretary, expressed deep appreciation to the religious sector for their passionate engagement in the global issue of climate change. “All religious traditions view creation as a sacred gift and have a critical role to play in calling for climate justice”, he said. Following the dialogue, an interfaith service was held, reflecting on just transitions in the context of Poland, and featuring prayers and songs from various religious, spiritual and indigenous traditions. A single flame was lit to celebrate the start of Hanukkah. 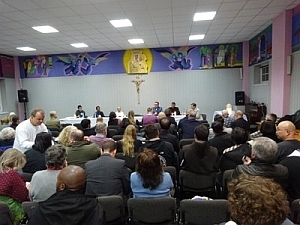 The event was co-organized by the WCC, Brahma Kumaris, Franciscans International, Dominicans for Justice and Peace, Quakers United Nations Office, Islamic Relief, GreenFaith, Religions for Peace, ICE Network, CIDSE and the Global Catholic Climate Movement.